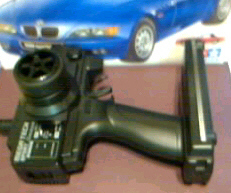 Mini-X w/ Tamiya BMW Z3 1/24 scale model body. In stock now! 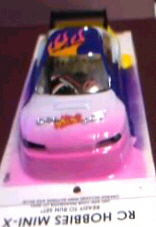 Xpress Mini X 4wd 1/24 scale car. See our review. News flash: *See the Abc Hobby Dtm x4 4wd 1/24 R/c car too! 1/24 4wd Mini-X car. 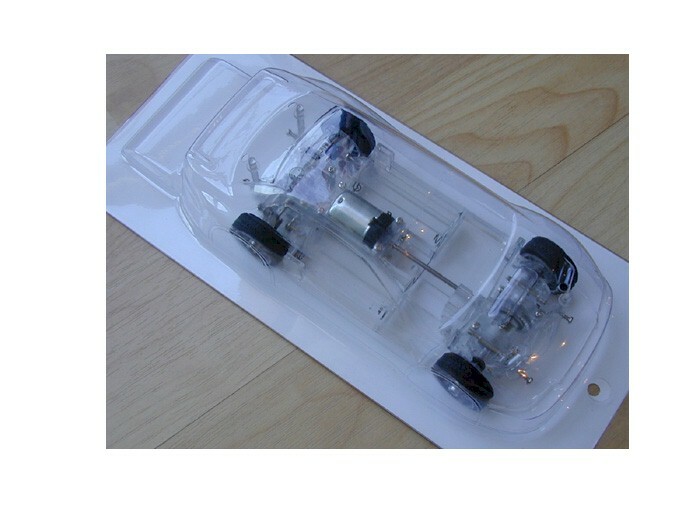 Basic set Fully assembled car w/motor. Just add your electronics and paint the included lexan body! makes a great parts car for Rtr Mini-X 4wd. 1/24 4wd Mini- X RTR car. Includes car electronics. * Needs your 27 mhz transmitter. Mini z tx works perfectly too! 1/24 RTR 4wd Mini-X car. Complete set includes: Car electroncs, 4 nimh batteries and Futaba Pistol transmitter.